Sorry I’m a bit late on this! Yesterday was my birthday, and I’m using the excuse that I overate cake and fell asleep early (sad but true). 🙂 The contest winner was randomly selected and it was #19, Melody! I also discovered that she happens to have a beautiful blog and is an amazing homeschool mom. Go, girl! 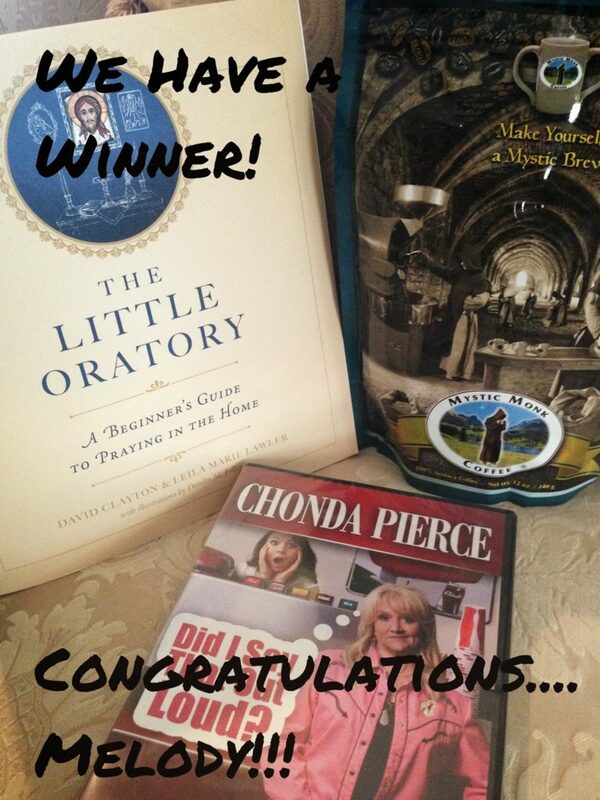 Thank you ALL for being the best blog readers and taking the time to enter the contest. Melody, I hope you enjoy the goodies!